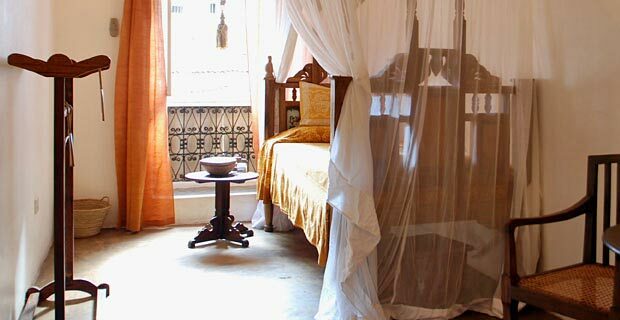 The intense coffee aroma permeating from the hotel café, as well as the stylishly decorated furniture in the brightly coloured rooms, give this traditional house an authentic atmosphere of years gone by. The friendly staff further accentuates the hotel’s unique ambiance. 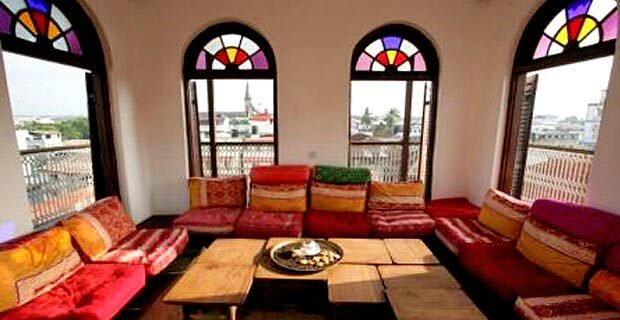 The newly renovated Zanzibar Coffee House, with its stylish and local flair, is ideal for a short stay in the historical centre of Stone Town. 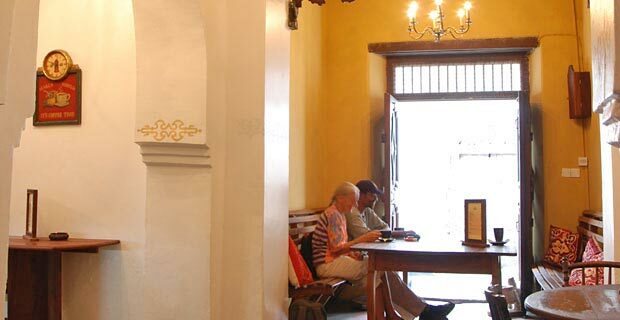 Centrally located, the hallowed century-old house invites tourists and locals alike, to enjoy freshly roasted coffee. 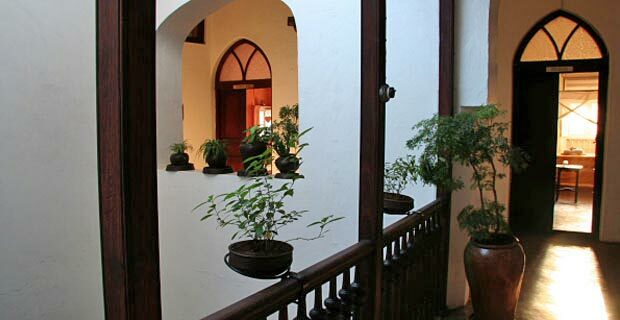 The hotel houses a small café on its ground floor, where locally grown coffee and freshly baked pastries can be enjoyed. 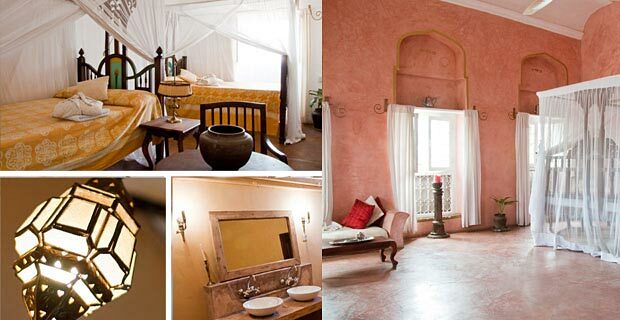 The uniquely styled rooms are located on various floors and provide views over the rooftops of Stone Town. A breath-taking panoramic view can also be enjoyed from the comfortable cushions on the rooftop terrace. 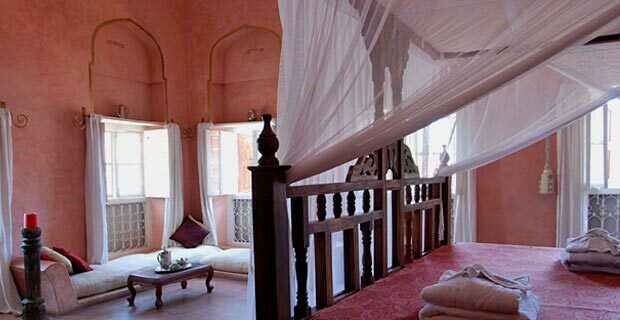 The 8 rooms are all decorated differently, but are equipped with air-conditioning, ceiling fan and large Zanzibari-style beds and furniture. In addition to the two double rooms with a private bathroom located in the hallway, the hotel also has two double rooms with en-suite bathrooms and three roomier suites that have their own lounge areas. City tours and day trips around the island can be booked at the hotel reception.